Can you imagine a more fun breakfast surprise than mom saying “let’s have ice cream for breakfast!”? 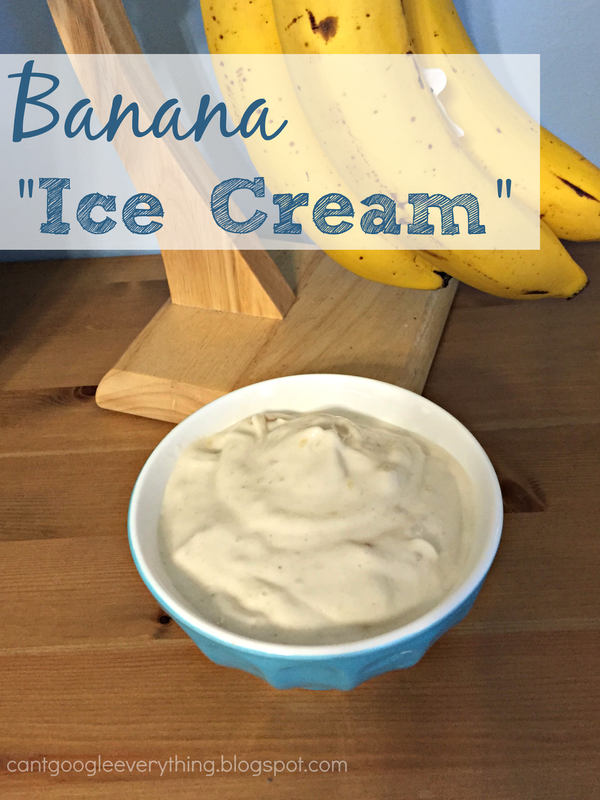 Banana ice cream is a trick- it looks and feels like ice cream, but it’s actually a healthy version of a “fake out” ice cream! I surprised my son with this treat last week and he just loved it. The night before, slice the bananas and place in a container in the freezer. Freeze overnight. In a strong blender or food processor blend all the ingredients until smooth. You may need to add a splash of water or milk to get the blender moving. The consistency is smooth and ice cold, just like ice cream! Serve and let your kids dig in! We did have some leftovers, which I scooped back into a plastic storage container to store in the freezer for another day. Carter loved his ice cream and ate it so fast he got a brain freeze! 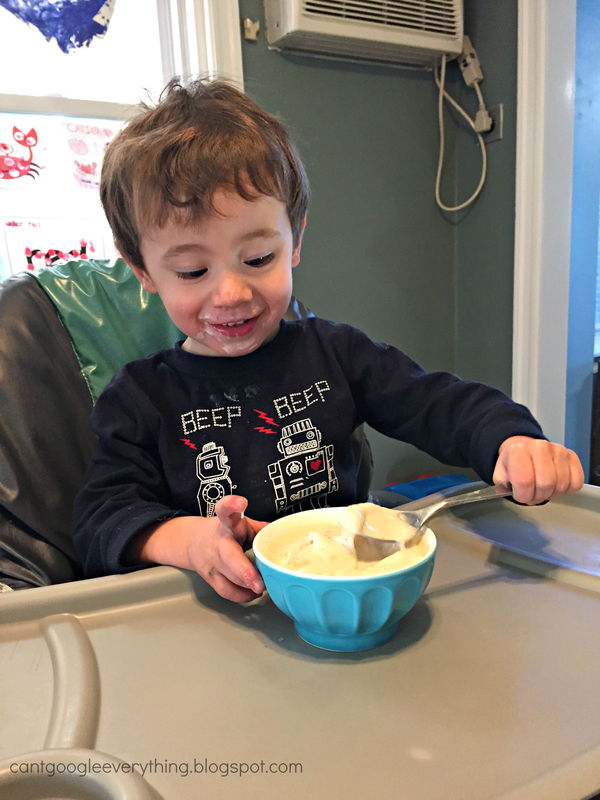 He kept saying “mmmm” and “brrrrr.” This recipe is toddler approved! 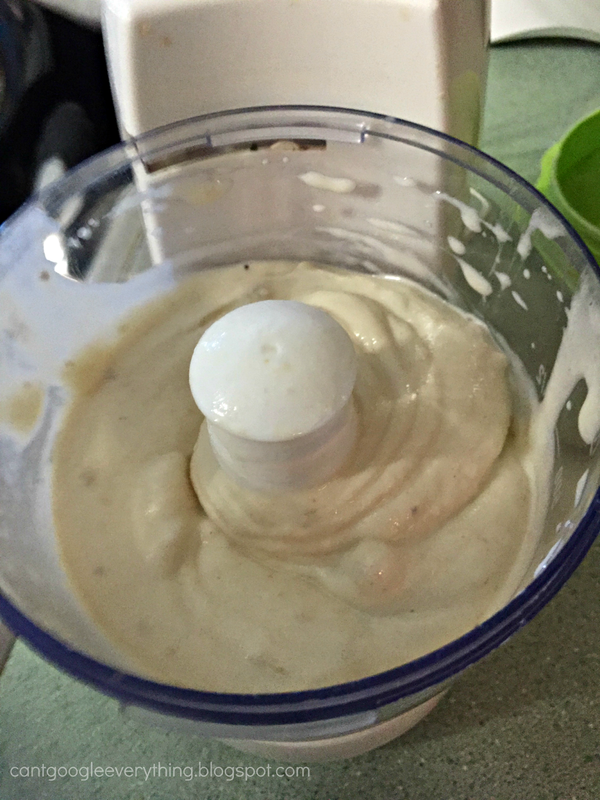 Have you made banana ice cream before? What do you add to your recipe? This looks delicious! I may have to try this out! I have made this before. So good and easy!!!! What a fun idea! Love toddler-approved recipes! A friend made this for me a few years ago, but it didn't even have yogurt–just blended frozen bananas. It was so good! Thanks for the reminder. Love this recipe! We are dairy free, but no biggie, so many good DF yogurts, even Greek ones! Hi Rachel, these are great, and a terrific way to use fresh fruit too. Awww. Such a cutie. 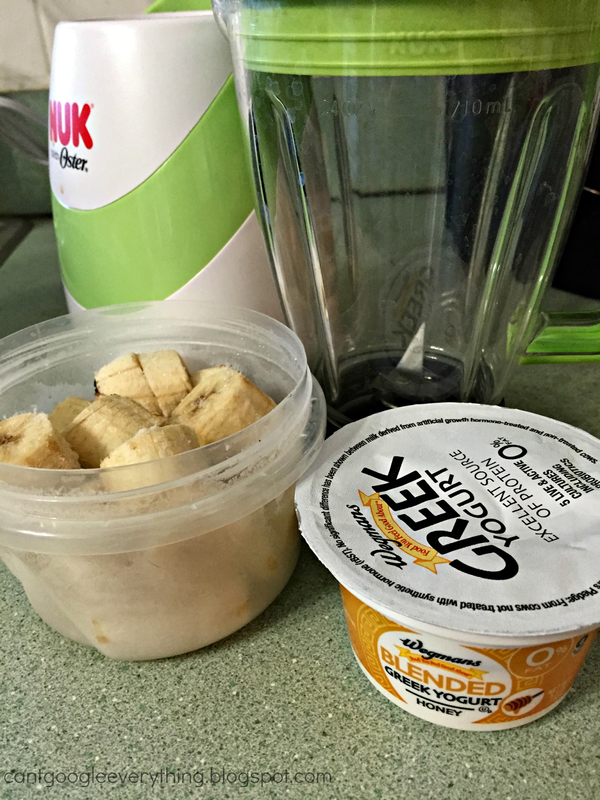 I’ve done just frozen bananas before, but will have to try with the yogurt added. Yum!